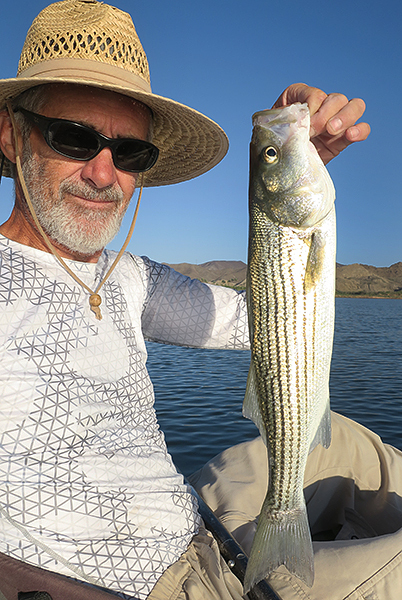 We had a good time fishing for smallmouth bass on the Colorado River at Picacho, but we are really looking for largemouth and striped bass because we will be fishing for smallmouth bass all summer on the Columbia River. Hard to beat the Columbia for smallmouth bass fishing and hard to beat the Colorado River for largemouth and striped bass fishing, so we are back on the lower Colorado River. It didn’t take long to get back in the largemouth bass groove. On this day, I got a fish on the first cast about a half hour before sunrise. By the time the sun started to show over the riverside bushes, I had already caught a few nice largemouth bass and farmed a couple more. 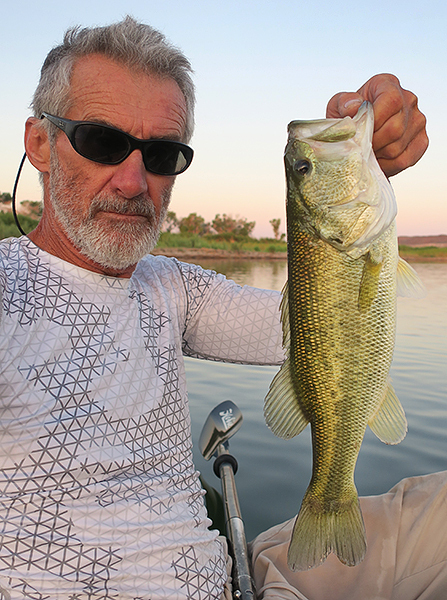 The warm temperature, glassy river water and early morning sunlight made for some spectacular largemouth bass fishing action. Getting out there early paid off again with a number of nice early morning largemouth bass. While fishing the shoreline for largemouth bass, I noticed some surface action out of the corner of my eye. There are a lot of carp and tilapia that wallow around the surface here so I didn’t think too much of it until I looked a little closer and saw it was a school of striped bass chasing baitfish against the bank. I’d never seen a school of striped bass before but I paddled as quick as I could over to the feeding frenzy and tossed the only lure I had tied on; a white 4″ grub, into the school of stripers. On the second or third cast I got hit and the fight was on! After a nice battle, I had my first real Colorado striped bass in the kayak. At Picacho, I caught a largemouth bass and a smallmouth bass on the same day. One day later, I catch a largemouth bass and a striped bass on the same day. Not sure how much you could ask for as a bass fisherman. After landing my first striper, I was pretty fired up and chased the school of striped bass around the river until they vanished without another bite. 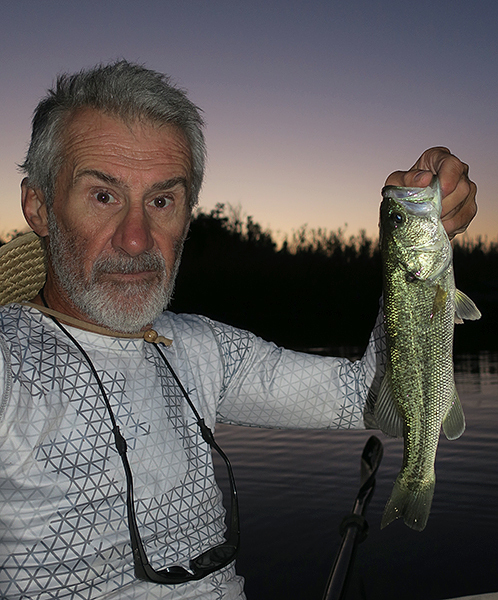 The stripers were gone but the largemouth bass fishing was still on fire. We were catching so many fish, even one of the locals came over to see if he could get in on all the fishing action. 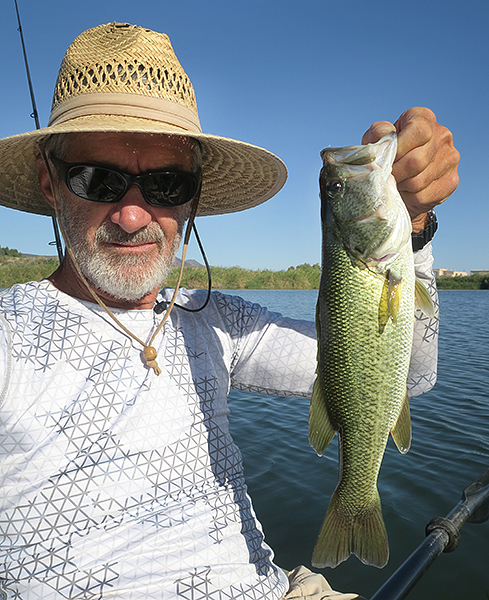 The largemouth bass action stayed hot until the early afternoon. As the days get longer and hotter, this seems to be the trend. We caught a lot of nice bass while it was good. 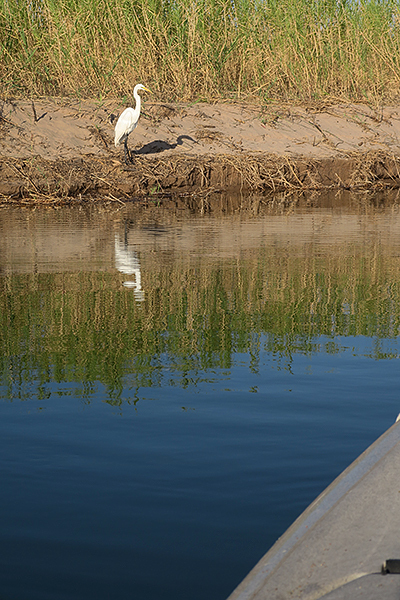 The hotter days mean that our time on the Colorado River is coming to an end. Temperatures over 100° for days on end are more than we can handle with the gear we have so it won’t be long before we are headed back to the Columbia River Gorge and a summer of smallmouth bass fishing. 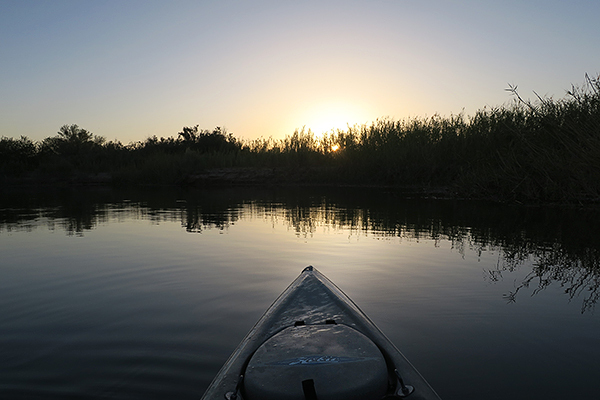 The kayak fishing action won’t stop, it will just be changing location. Stay tuned.